Microsoft announced a new service called Windows Defender Advanced Threat Protection, which it calls the next step in its efforts to protect enterprise customers. The service helps enterprises detect, investigate, and respond to advanced attacks on their networks, building on existing security features in Windows 10. There’s a new post-breach layer of protection. 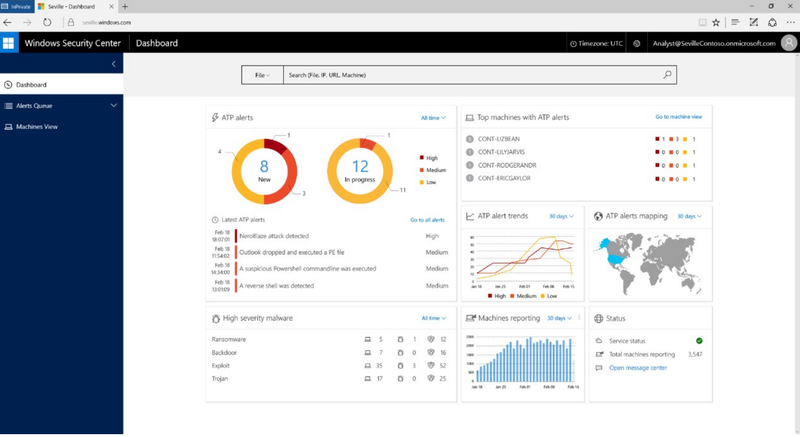 “With a combination of client technology built into Windows 10 and a robust cloud service, it will help detect threats that have made it past other defenses, provide enterprises with information to investigate the breach across endpoints, and offer response recommendations,” says Terry Myerson, Executive Vice President of Microsoft’s Windows and Devices Group. Myerson discusses how the offering detects advanced attacks, its response recommendations, and how it complements Microsoft’s other threat detection solutions here. Microsoft of course insists that all Windows users upgrade to Windows 10 to have their most advanced security features.